Cat Peeing In House | Why Do Cats Spray? Cats are cute. Who can deny it? With their big glossy eyes, furry little (sometimes big) ears, cute heart-shaped noses, and affectionate purring, there’s not much about kitties not to love. But unfortunately, there are times when their cuteness quickly disappears from your eyes. Including those times when you find that the living room smells unpleasantly similar to cat urine. Yep. It’s quite the theft of your cat’s charm. 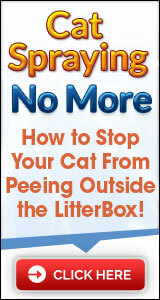 To make it even worse, your feline seems to be peeing more than most. Why is my cat peeing everywhere, you ask? Here are some possible causes for you to consider, and hopefully you’ll be able to retain the adoration you have for your animal friend. It’s possible that it’s not necessarily something that your poor kitty is able to control, such as some sort of medical condition or sickness. It could be a urinary tract infection, kidney failure, or a number of other things that only a veterinarian can officially identify and help you solve. For this reason, take the little guy to the vet for a checkup before looking into other possible causes. Now it may seem like a simple issue at first glance, but it’s really quite complex. Your kitty cat is much pickier than you’d expect, which means you’ve got more possible problems with your litter box than you might’ve anticipated. First of all, it could be the type of litter box itself. Got one of those boxes that have a cover on top? You can bet your cat’s not cool with it. Why? Think about it. Do you really enjoy port-a-potties? Didn’t think so. In fact, you probably hold it as long as necessary just to avoid that stink-house. Your cat feels the same way about that covered litter box, as it traps all the smell within it and makes it difficult for the soiled litter to dry. Simple fix: get a box that’s uncovered (and longer than the length of your cat). It’ll work wonders. In addition, you definitely want to ask yourself how often you clean your cat’s litter box. Every other day just doesn’t cut it. If someone in your household decided they didn’t want to flush the toilet for a couple of days and you were powerless to flush it yourself, you might consider another spot, too. Make sure to scoop out the dirty bits every day, and give the litter box a deep clean with water and unscented soap every one or two weeks. If this is the problem, you’ll see a difference in no time. Another possible cause is that your kitty isn’t so fond of the type of litter in his box. If it doesn’t feel good on his paws, he’s not a happy camper. Cats generally seem to like clumping or clay litter the most, so that’s the way to go if you haven’t already. Also keep in mind that their sense of smell is much more sensitive than yours. You might love that pine-scented litter, but your kitten is probably avoiding that litter box because of it. Keep it simple and unscented if you don’t want your cat peeing in house. Lastly, it’s crucial that you have at least one more litter box than the number of cats you have in your home, and to place them in different areas (and on different floors) of the house. This way your kitty’s got some options, and he’ll never have to go too far out of the way to relieve himself. Figuring out exactly why your cat is peeing everywhere takes a bit of investigation and trial and error, but it’s a win-win when you do it. 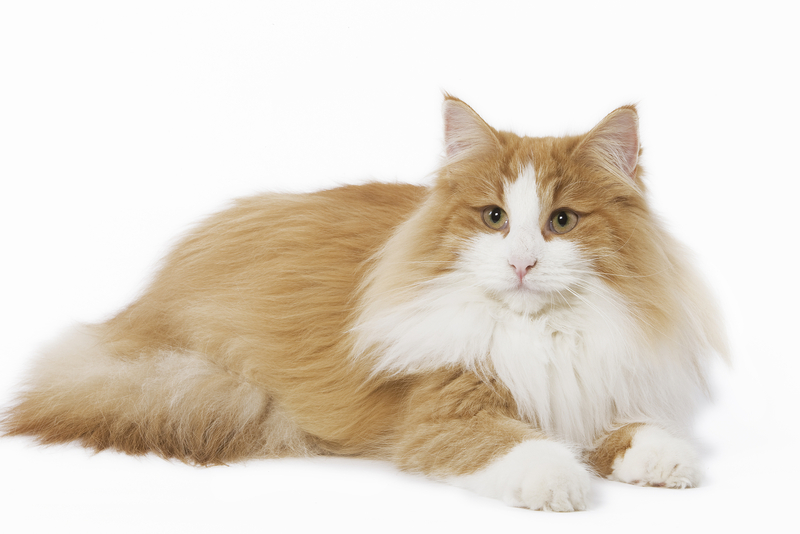 Save yourself from a chronicle of unpleasant odors and restore your cat’s cuteness by resolving this problem for good.